One per person per visit. No cash back for unused portion. Expires 10/31/16. 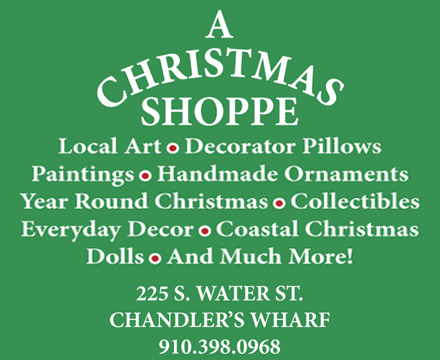 Visit A Christmas Shoppe in beautiful Downtown Wilmington! They keep the Chrtistmas Spirit goin year-round, with a great selection of holiday items including ornaments, decor, and lots more! You’ll also find shell art, local art, sea turtles, sea horses, pelicans, and other great gift ideas!